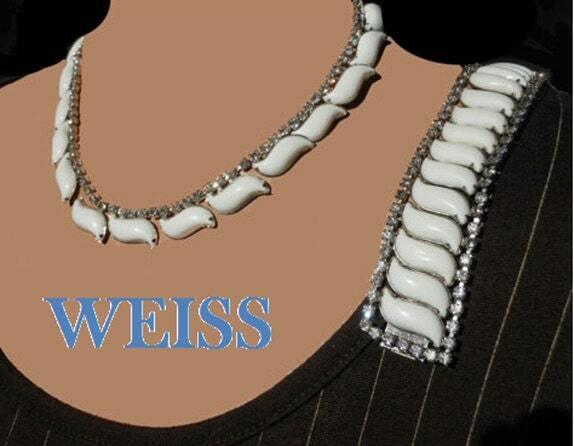 Weiss was in business from 1942 – 1971 and was very prosperous during the 1950s and 1960s. They used excellent Austrian clear and colored and aurora borealis rhinestones of exceptional quality. 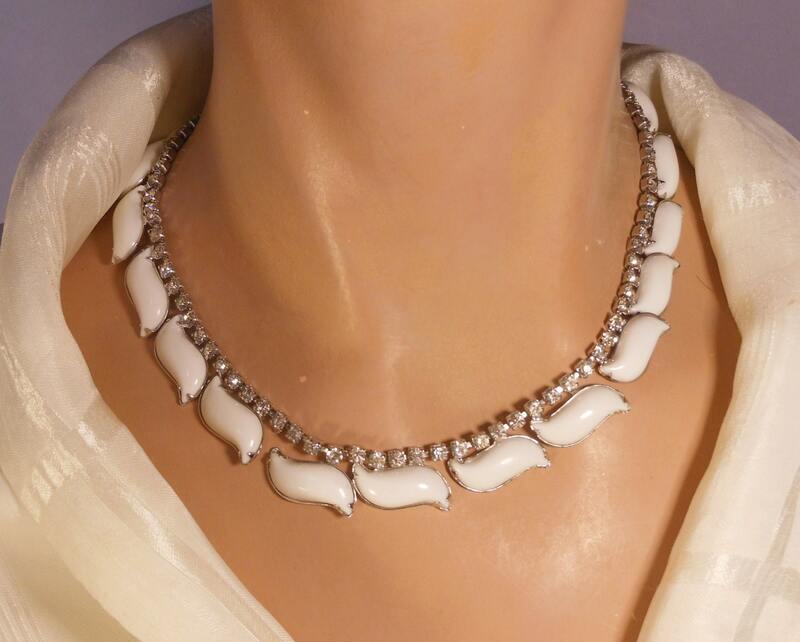 In the 1950's Lucite thermoset was very popular and it was then that Dior made white jewelry popular. 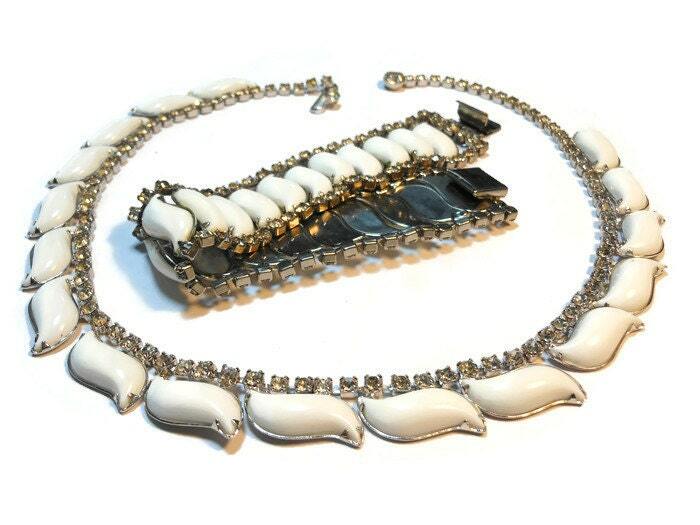 This set would make a lovely wedding set. It is very light. 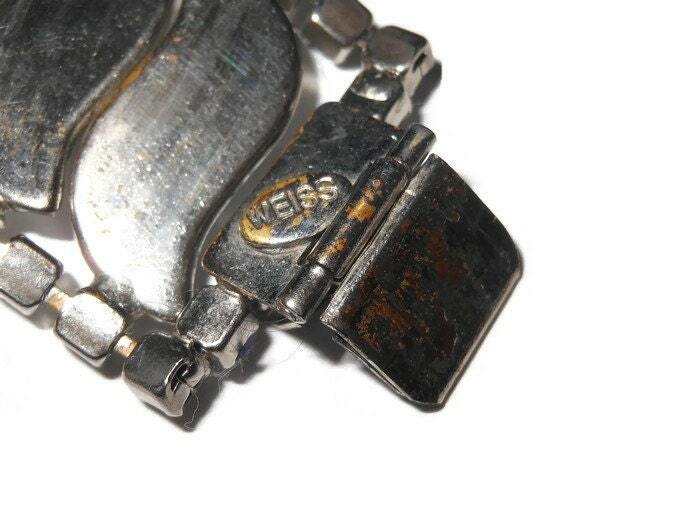 One of the rhinestones on the bracelet is darker that the rest but not noticeable until close examination. It could be swapped out but I will not do it as I don't have good luck putting the stones back in. The backs show a good bit of wear but it does not show when worn. All in all a great set. 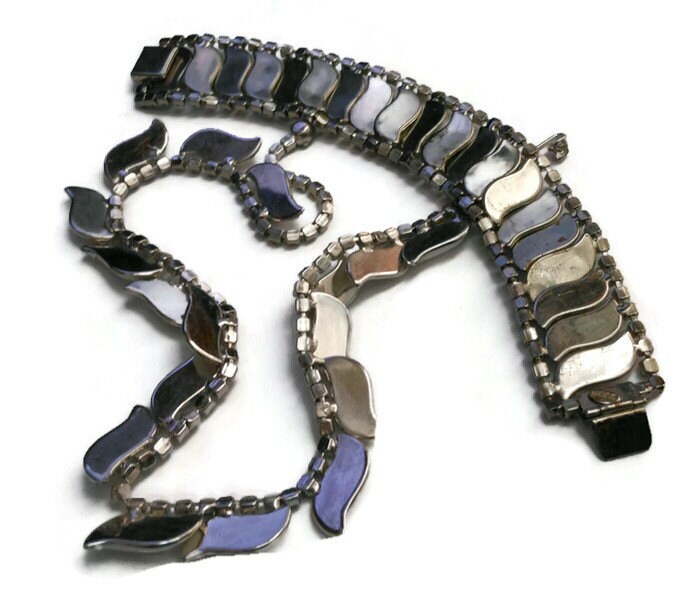 The necklace measures 12 1/2" (36.8 cm) with a 2" (5.1 cm) extender and the bracelet measures 7 1/4" (18.4 cm) not including the latch.